Now add up to 10 Flat Rates Shipping! 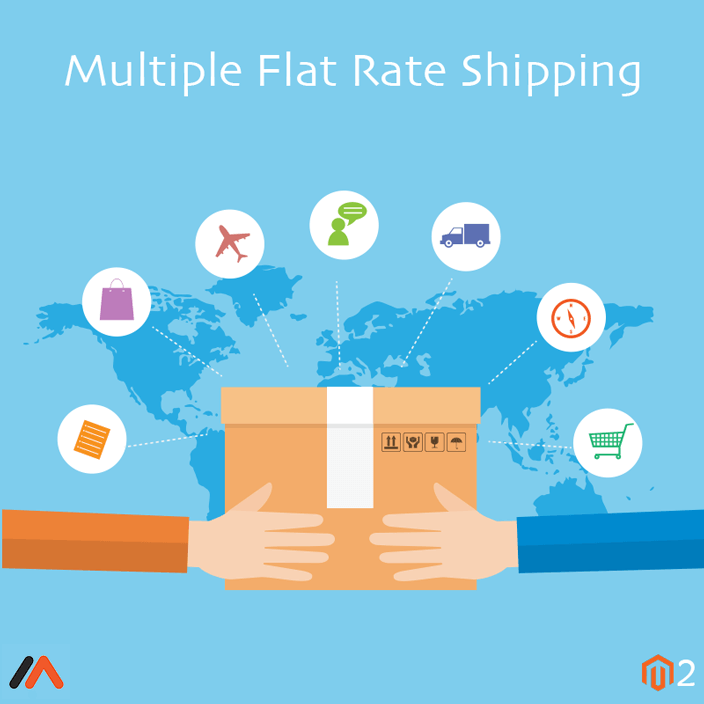 Magento 2 Multiple Flat Rate Shipping by Meetanshi allows Store Owner to add up to 10 flat rates based on various Shipping Prices and Conditions. Create custom shipping methods and handle your shipping charges according to the various conditions. You may want to charge your shipping facilities based on the type of product, delivery location, number of items ordered, etc. This may vary from customer to customer. So to handle such a situation, this extension is helpful. •	Add up to 10 flat rate shipping. •	For example, the store can charge shipping based on shipping method or product type or fixed shipping price or in percentage manner. •	Enable or disable settings for individual flat rates. •	Specify minimum and maximum subtotal to show Flat Rates. •	Allows setting individual flat rates for selected countries. •	Admin is free to configure error message for each flat rate shipping methods. •	Configuration is available to show shipping methods to admin only. KEH Camera is a provider of high quality, previously used camera and photographic equipment. Been working on most of this site for 2 years , active in most of the features build. Have you ever required to charge more than 1 flat rate shipping on customers’ orders? 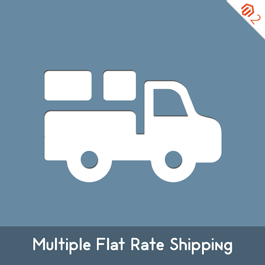 If yes, Magento 2 Multiple Flat Rate Shipping is what you need! It allows adding and managing upto 5 flat rate shipping in Magento store based on various prices and conditions. You can configure flat rates to charge per order or item in either fixed or percentage or price. Features: •	You can add up to 5 flat rate shipping methods. •	Show shipping method based on min and max subtotal. •	Enable or disable or configure each of them individually •	Charge handling fee in 3 ways: o	Fixed o	Percentage o	Fixed Per Item •	Display custom error message for each flat rate method. •	You can configure each of them to allow on specific countries or all countries. Default Magento comes with the functionality of adding one custom shipping method but it doesn't allow multiple shipping methods. To overcome this problem, MageComp has come up with Magento Multiple Flat Rate Shipping extension that allows a user to create and manage up to 8 different custom flat rate shipping method. The extension automatically calculates shipping charge per Item or per Order based on set configuration. A store owner can also set custom title and error message for a better understanding of shipping charges. Why choose MageComp’s Magento Multiple Flat Rate extension: •	There is option to enable extensions from backend. •	Allows store owners to create up to 8 different custom flat rate shipping methods. •	You can set custom title for each method. •	Automatically displays shipping method based on minimum and maximum subtotal. •	You can define shipping charges either fixed or percentage. •	Backend option to set custom error message. •	Option to set custom HTML message on checkout page. •	You can even set shipping method for country specific or global.